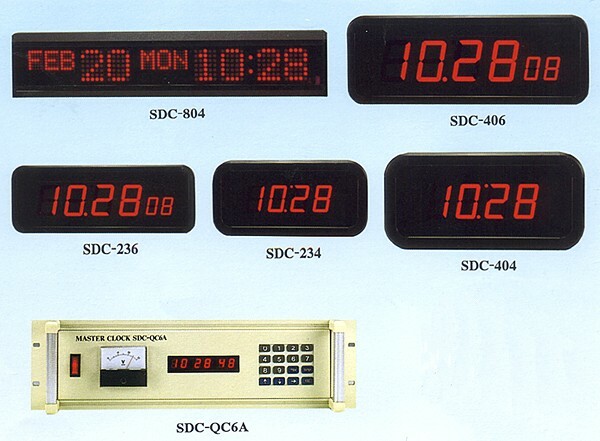 Time Clock, Master and Slave Clock - Jenxer Corporation Ltd.
Jenxer Co., Ltd. is a highly-qualified, Taiwan-based supplier and manufacturer of LCD/LED display & part, time recorder & time clock, and led clock. The supplier has been recognized as one of the most professional manufacturers in the clock/watch parts & accessories industry since 1987. With both experience and innovation, the supplier is confident of providing buyers with quality products. As a good and professional manufacturer of Time Clock products, we offer high quality and compatible products to clients with different requests and wishes. Not only do we manufacture quality products, but we have the competitive price as well. Based on advanced facilities and Q.C. for time clock products, we are capable of excellent supply of world-class quality and manufacture. At present, there are plenty of related manufacturers worldwide and are always in full swing in the markets. Nonetheless, we are very confident of the quality of our product and we can guarantee you that our service is the best. With comprehensive technical experiences and reputed in time clock markets, We, Jenxer Co., Ltd. provides good product services by advanced equipments. Under strict quality management, our products are better than any other manufacturers. As a consequence, Jenxer is definitely a reliable supplier according to your requirements. 6 digit 0.5" 7-segment LED display and 16-key remote control equipped for editing time, date, year, week, bell time, etc. 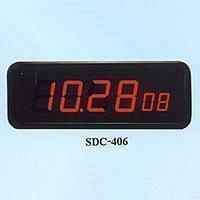 Equipped RS422 can drive all the digital time clock series. Internal back-up battery may be used for 48 hours typically after power failure. When AC power comes up the master will correct all dial clocks and digital clocks automatically. The accuracy is within 0.1 sec per day. Input power: AC 60Hz or 50Hz, 110V or 220V or DC 12V external input equipped. Size: 20" x 6" x 12.6" (W x H x D), 19" rack mountable. Size: 8.7" x 13.8" x 8.7" (W x H x D), wall mountable. All slave clocks can be used alone without Master clocks. When power failure, equipped back-up battery can memorize time. After power resumes, no adjustment required for correcting time. Outer Frame-Size H x W x D (inch) 6.3" x 13.4" x 2.6" 6.3" x 14.2" x 2.6" 8.7" x 20" x 2.6" 8.7" x 23.6" x 2.6" 4.2" x 20.3" x 1.3" 17" x 23.6" x 2.6"